Since 2005, Google Analytics has been providing freemium analysis that tracks and generates reports on website traffic. It enables businesses to review their online ads and campaigns in real-time by tracking sales activity and conversion rate. Over time, Google Analytics has progressed and is now enabled with flexible cross-platform tracking of data from iOS and Android Apps and ability to customize dimensions and metrics for data assimilation. With its new interface design, Google Analytics uses tracking code that is more sensitive than ever and will track the briefest of the user activity of the website. This year, it has introduced features to gain intelligence and establish online strategies to improve business performance. With the ever-expanding mobile market, publishers have been developing content that is mobile optimized and can load instantly. With AMP (Accelerated mobile pages) initiative, webpages on mobile loads 4 times faster. Google Analytics now supports AMP in the Google Tag Manager. Vendors have traditionally found it difficult and confusing to create tags in AMP beyond basic data tracking purposes. But now with the introduction of additional AMP containers in the Google Tag Manager, you can fire more than 20 tags available as options in the box, that will help provide support across the ad platforms DoubleClick and Adwords. This enhances the parameters by which you can tag the events and make the reports generated insightful for your ads. In the world of web analysis, it is important to determine the impact of an event on the website and sales to get an in depth analysis. But if we don’t remember the chronology of events, we cannot ascertain the effect of our ads. Google Analytics, helps its users to annotate any occurrences on a real time basis to determine any positive or negative impact on your website. So whether it your latest marketing campaigns, content change , competitor activity or even general weather, annotate the events on the graph to see the detailed effect on your visitor activity on the website. Launching a fully functional and effective website makes many companies rely on their tech teams to create and deploy many website iterations. Google Optimize, which is integrated with Analytics, helps to gain behavioural insights of the customer base. Optimize makes it easy for multivariate web-testing across the entire site. It also allows personalization of tools in business metrics that are important, such as ad revenues or e-commerce transactions, without extended development work. So whether it is tailor-made message for customers on check-in and checkout or a unique enquiry form, Optimize will help you deliver optimized web experiences to your customers in minimum time. Firebase Analytics is specifically designed for doing Apps analytics. 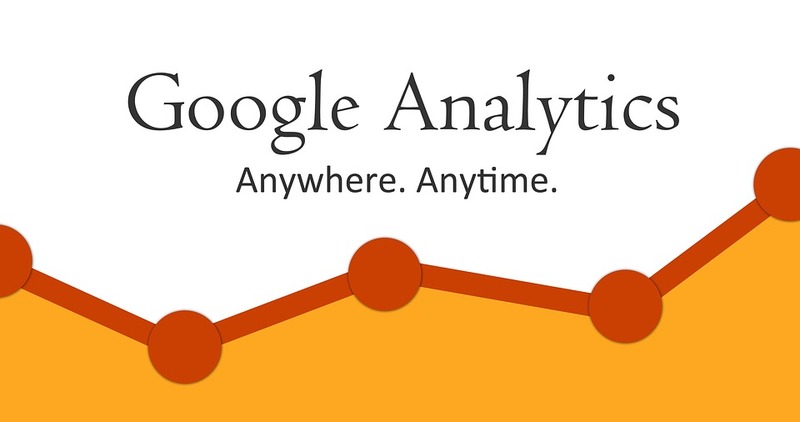 Google Analytics is now also integrated with Firebase features. This helps to collect events about user activity on iOS and Android apps. It enables user to track up to 500 events that can be defined according to the needs of the business. Firebase is also linked with many ad networks that helps you track and link ad campaigns across sources with just one SDK. As soon as events are logged into firebase, with the aid of Google Tag Manager data is sent to Google Analytics. This helps the business determine customer experiences across digital platforms. DoubleClick Bid Manager (DBM) and Analytics 360 together generate a powerhouse decision making opportunity that can give businesses real-time marketing opportunities. Without DBM, only when a user clicks a link or type the URL alone could generate any data. With DBM, we can even see the ads that lead user to the website. The user can see which site and the specific ad that impressed the user to visit the company website. This gives a huge advantage to organisations to maximize opportunities. All this data can be pulled together in Analytics and help you target the audience and generate revenue estimates. With the changing customer behaviour and increase in the cross-digital interface require companies to constantly monitor and analyse data points. Google Analytics is striving to become the one-stop analytics shop for all social media and online advertising campaigns. It has enabled the organizations to understand customer acquisition, behaviour and conversions and create precise campaigns around it. A win-win situation for all. Contact Search Eccentric to get professional assistance and know more about the features from Google Analytics that can be used in 2017.